The holidays came and the girls from the Monster High decided to rest. Coincidentally, they were invited to Scaris for fashion week show. In Scaris Monster High students will show fashion dresses and hairstyles. Do you think french fashion-mongers will like the style of our students? How to play the game: select with the mouse the sections so that you could try something on Cleo. Choose her hair and her cool color, dresses and shoes, jewelry, and skin color. Played: 45495. Added: 9-02-2014, 09:24. 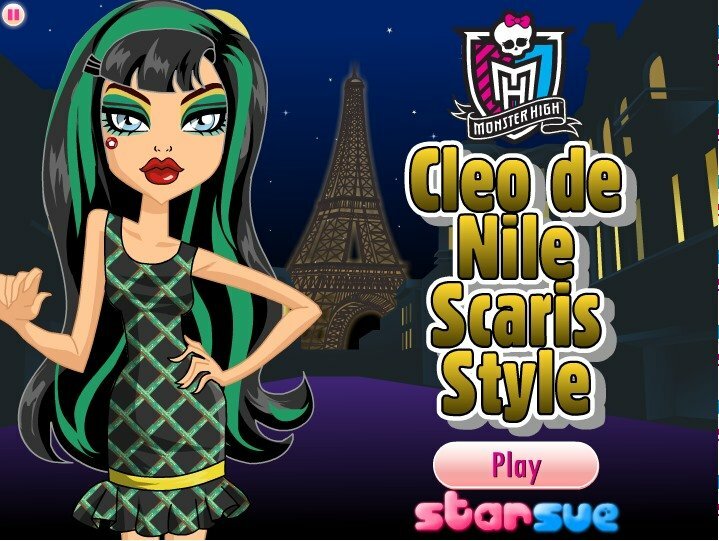 Cleo de Nile Scaris style game. New dress and hairstyle for Cleo.